The major objective of this report is to analysis Credit Management in Shahjalal Islami Bank Limited. Other objectives of this reports are to present an over view of this Bank, analysis the Lending procedures maintained by the SJIBL, and observe principal Lending activities of Shahjalal Islami Bank. Here also evaluate Lending performance and to measure the actual position in classified investment and provisions maintained by the SJIBL Finally made SWOT analysis and appraise the actual Recovery position of the SJIBL. Emphasizing on credit operation, credit management and credit performance including the credit payment system. 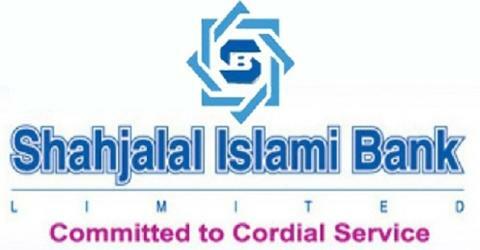 To observe principal Lending activities of Shahjalal Islami Bank Ltd.
To evaluate Lending performance of Shahjalal Islami Bank Ltd.
To measure the actual position in classified investment and provisions maintained by the SJIBL. To compare the classified conditions of the NCBs vs. PCBs vs. FCBs in Bangladesh. To evaluate the success of credit operations compare with other Banks. To identify problems in credit operations of Shahjalal Islami Bank Ltd.
To recommend suggestions for the successful Lending Operations of the Shahjalal Islami Bank Ltd.
At present, the bank has a network of 26 branches with around 466 employees stationed in both rural and urban areas of the country. Since inception, the Bank has been making significant profit every year and positioning itself as second highest profit-making bank in the country for last five consecutive years. This has been possible due to significant growth of the bank. This has also been possible due to minimize the risks of the bank successfully. SJIBL a blend of expertise and technological excellence is in place to meet varied needs of modern customers. The bank aims at mobilizing untapped money of the country and prudent deployment for productive activities in the form of lending at a competitive profit rates/investment pricing. Towards attainment of its goals and objectives, the bank pursues diversified credit policies and strategic planning in credit management. To name a few, the bank has extended micro credit, consumers durable scheme investments, house building investments etc. to cater to the needs of the individuals, which in turn has helped thousands of families. The bank also extends investment in the form of trade finance, industrial finance, project finance, export & import finance etc. The bank’s credit polices aimed at balanced growth and harmonious development of all the sectors of the country’s economy with top most priority to ensure quality of lending by averting growth of non-performing assets. The SJIBL serves its massive clientele with a variety of services apart from the conventional ones. Its frequent improvement and introduction of new products and services has given it a margin over the competitors. Water works and sanitary service. In accordance with the provision of Bank Companies Act, 20% of operating profit before tax is required to be transferred to statutory reserve. As such an amount of Tk.267.13 million has been transferred to statutory reserve during the year. Total deposit of Shahjalal Islami Bank stood Tk.18090.65 million as on 31.12.2007 as against Tk. 12204.63 million of 31.12.2006 registering an increase of Tk.5886.02 million, 48.23% growth. Deposit is the ‘life-blood’ of a Bank. Bank has given utmost importance in mobilization of deposits introducing some popular and innovative schemes. Investment comprises a very large portion of a bank’s total activities. Investment operation of a Bank is, as such, of vital importance as the greatest share of total revenue is generated from it. The very existence of a bank mostly depends on prudent management of its investments port-folio. Sound investment practice, therefore, is very important for profitability and success of a bank. For efficient deployment of mobilized resources in profitable, safe and liquid investments, a sound, well-defined, well-planed and appropriate investment policy framework is a prerequisite for achieving the goal of the bank. It is, therefore, essential to have a clearly defined and balanced investment policy prescribing the procedures for implementation thereof on the basis of which the bank’s investment port-folio shall be planned and budget shall he prepared for promotion of investments. For the sake of sound investment it is necessary to develop a sound policy. Modern investment techniques have be to adopted to ensure that investments are safe and the money will come back within the time set for repayment. For this purpose, proper and prior analysis of investment proposals is required to assess the risk. Investment itself is risky and the very purpose of analyzing the risk is to locate/identify the risk for obtaining possible cover/precaution. While deciding an investment proposal we are to judge the degree of risk a given situation. Investment is judgments, which depend upon our ability to assess the shortcomings in the proposal and to indentify the risk. Therefore, the ability in taking proper/prior measures to minimize the risk is very important. Investment risk is an essential factor that needs to be managed. Investment risk is the possibility that the client will fail to meet its obligations in accordance with agreed terms. Investment risk, therefore, arises from the bank’s dealings with the investment clients, the corporate, individuals, and other banks or financial institution. Investment risk management, therefore, needs to be a robust process that enables banks to proactively manage investment portfolios in order to minimize losses and earn an acceptable level of return for shareholders. Central to this is a comprehensive IT system, which should have the ability to capture all key customers data, risk management and transaction information including trade & foreign exchange transaction. Given the fast changing dynamic global economy and the increasing pressure of globalization, liberalization. Consolidation and dis-intermediation, Shahjalal Islami Bank Ltd has formulated a robust investment risk management policy and procedures that are sensitive and responsive to these changes. The manual sets out the basic procedures to be followed throughout SJIBL for sanctioning and controlling investment facilities. These procedures are intended to provide bank management with an accurate and detailed information base for investment decision. This manual deals with systems and will from time to time be supplemented by circulars, which would then form a part of the manual. These circulars should be maintained in a separate file after being appropriately cross-referred to the manual and would remain valid until such time as the manual is revised and reprinted. The word “Credit” is derived from the Latin word “credo” meaning, “I believe”. The term credit may be defined either broadly or narrowly. Speaking broadly, credit is finance made available by one party (lender, seller, or shareholder/owner) to another (borrower, buyer, 7 corporate or non-corporate firm). More generally the term credit is used narrowly for debt finance. Credit is simply the opposite of debt. Debt is the obligation to make future payments. Credit is the claim to receive these payments. Both are created in the same act of borrowing and lending. Credit is the means of investment made by the bank to the entrepreneurs and business community. Alternatively this is the way of channeling fund to the deficit units where various risks and uncertainties are involved. Therefore every decision on credit matter should be taken with utmost care that can be ascertained through in-depth analysis, meticulous calculation and prudent judgment. A detailed and very comprehensive credit policy can guide the dealing credit officer to successfully maneuver the credit portfolio. One of the two primary functions of a commercial bank is to extend credit to the deficit economic unit that comprises borrowers of all types. Bank credit is a catalyst of economic development. Without adequate finance, there can be no growth in the economy. Bank lending is important for the economy in the sense that it can simultaneously finance all of the sub-sectors of financial arena, which comprises agricultural, commercial and industrial activities of a nation. Therefore, a bank is supposed to distribute its investment fund among economic agent-in-deficit in a manner that it will generate sufficient income for it and at the same time benefit the borrower to overcome his / her deficit. Is the borrower creditworthy? How do you know? Can the investment agreement are adequately protected and the customer has a high probability of being able to service the investment without excessive strain? Can the bank perfect its claim against the assets or earnings of the customer so that, in the event of default, bank funds can be recovered rapidly at low cost and with low risk? Let’s look in turn at each of these three key issues in the “yes” or “no” decision a bank must make on every investment request. Thus question that must be dealt with before any other is whether or not the customer can service the investment-that is, pay out the credit when due, with a comfortable margin for error. This usually involves a detailed study of six Cs aspects of the investment application- character, capacity, cash, collateral, conditions, and control. All must be satisfactory for the investment to be a good one from the lender’s point of view. The investment officer must be convinced that the customer has a well-defined purpose for requesting bank credit and a serious intention to repay. If the officer is not sure exactly why the customer is requesting a investment, this purpose must be clarified to the bank’s satisfaction. Responsibility, truthfulness, serious purpose, and serious intention to repay all monies owed make up what a investment officer calls character. The investment officer must be sure that the customer requesting credit has the authority to request a investment and the legal standing to sign a binding investment agreement. This customer characteristic is known as the capacity to borrow money. For example, in most states a minor (e.g., under age 18 or 21) cannot legally be held responsible for a credit agreement; thus, the bank would have great difficulty collectors on such a investment. (c) Funds raised by issuing debt or equity securities. Any of these sources may provide sufficient cash to repay a bank Investment. In assessing the collateral aspect of an investment request, the investment officer must ask, does the borrower possess adequate net worth or own enough quality assets to provide adequate support for the investment? The investment officer is particularly sensitive to such features as the age, condition, and degree of specialization of the borrower’s assets. Last factor in assessing a borrower’s creditworthy status is control which centers on such questions as whether changes in law and regulation could adversely affect the borrower and whether the investment request meets the bank’s and the regulatory authorities’ standards for investment quality. This section details fundamental investment management policy that has been formulated for adoption in Shahjalal Islami Bank Ltd as per recommendation made by the focus group of Bangladesh bank. The guidelines contained herein outline general principal that are designed to govern the implementation of more detailed investment procedures grading systems within the bank. Shahjalal Islami Bank Ltd has formulated a detailed invested guidelines wish clearly identifies the business/industry sector that should constitute the majority of the bank’s investment portfolio. Indication the type of investment that are permitted such as working capital, trade finance, team investment etc. Details the bank’s single customer/group limits as per Bangladesh banks guidelines specifies industry sector exposure cap to avoid over concentration in anyone industry sector, outline industries or investment activities that are discouraged, states the facility parameters (e.g. maximum size, maximum tenor, and covenant and security requirements) & policy regarding management of Cross Boarder Risk. Any departure or deviation from the investment guidelines should be explicitly identified in the Investment Application/ Investment Memo and justification for Approval (if required) to be given. Investment proposal to be forwarded placed as per enclosed Investment Application/ Memo format. Required documentation/paper as per to be accompanied with each investment application form and shall be kept in the investment files. Appraising and evaluation the investment proposal by the branch, the concerned officials of the branch should comply the KYC procedures positively in case of all customers. One of them must be authorized signatory the head of investment. Top 25 clients obligor to be rated preferable by outside i.e. credit rating agency. Bank will follow asset liability matching policies as per Bank’s asset liability matching policy. Bank will participate with other banks in syndicated facility & may act as lead bank also on best effort /club deal basis. The management of the bank may deviate relax any of the clause of the guidelines/manual as per permission of the Ec/Board of directors of the banks. Bangladesh bank circulars, policies, guidelines shall supersede this manual/guidelines at any point of time. Shahjalal Islami Bank Ltd has a segregated internal audit/control department charge with conduction audit of all departments. An audit is usually carried out annually, and ensures compliance with regulatory guidelines, internal procedures, investment risk grading guidelines and Bangladesh bank requirements. In this regard Bangladesh bank core risk guidelines to be followed. Following Papers /Documents are required to process the investment proposal. Request for investment limit of customer. Account opening form along with copies of clients photograph. Certified copy of Memorandum & Articles of Association. Resolution of Board of Directors for taking investment facilities from shahjalal Bank Ltd.
3(three) years Balance Sheet, Income statements and Cash Flow statement/Projected. Photograph of the Directors/Partner/proprietor duly attested. Statement of Account (C/D, S/B, CC) for the last 12 months. In case of renewed/enhanced of the investment facilities total income earned, detail position of the existing liabilities of the customer i.e. Date of expense, Date of expiry, present outstanding, remarks, if any. Declaration of the customers of the name of sister/allied concern and liability with other banks, if any and an undertaking of the effect that they have no liability beyond those declared. Valuation certificate in the Bank’s format along with photograph of collateral. Lending risk analysis (for investment facilities of TK. 1.00 core and above). Credit report from the bank. Total financing plan & source of finance of the project. History of relationship with SJIBL. Major competitors and competitive position for the customer. Total employment strength with back up. TIN certificate of the director. LC performance for the last 3(three) years. Sanction advice for existing investment facilities of different banks. Details of business of sister/allied concern. The bank relies principally on outside information to assess the character, financial position, and collateral of a investment customer. Such an analysis begins with a review of information supplied by the borrower in the investment application. The bank may contact other lenders to determine their experiences with this customer. Were all scheduled payments in previous investment agreements made on time? Were deposit balances kept at high enough levels? How much was borrowed previously and how well were those earlier investment handled? Is there any evidence of slow or delinquent payments? Has the customer ever declared bankruptcy? The approval process must reinforce the segregation of Relationship Management/Marketing from the approving authority. The responsibility for preparing the Investment Memorandum should rest with the RM within the retail/corporate unit at branch. Investment memorandum should be recommended for approval by the RM team based on branches and forwarded to the Investment Approval at head office and approved by individual executives. The recommending or approving executives should take responsibility for and be held accountable for their recommendation or approval. There is limited delegation of approval limits in favor of the managing director and some executives of the bank. The following diagram illustrates the approval process at Shahjalal Islami Bank Ltd. The investment administration and monitoring function is critical in ensuring that proper documentation and approvals are in place prior to the disbursement of investment facilities. For this reason, it is essential that the function of investment administration and monitoring is strictly segregated from relationship management/marketing in order to avoid the possibility of controls being compromised or issues not being highlighted at the appropriate level. Investment administration procedures are in place to ensure the following. Security documents are prepared in accordance with approval terms and are legally enforceable. Standard investment facility documentation that has been reviewed by legal counsel should be used in all cases. Exceptions should be referred to legal counsel for advice based on authorization from an appropriate executive in IRM. Disbursements under investment facilities are only be made when all security documentation is in place. CIB report should reflect/include the name of all the lenders with facility, limit & outstanding. All formalities regarding large investments & investments to directors should be guided by Bangladesh bank circulars & related section of banking companies Act. All investment approval terms have been met. Investment disbursements and the preparation and storage of security documents should be centralized. Appropriate insurance coverage is maintained (and renewed on a timely basis) on assets hypothecated/pledged as security. All third party service providers (values, lawyers, insurers, CPAs etc) are approved and performance reviewed on a annual basis. Bangladesh bank circular outlining approved external audit firms are accepted. For the purpose of seminal the classified status of an account, following guidelines are to be observed. The process of classification of an account will start with strict application of the risk rating appraisal that is Sub-standard, Doubtful & Bad or Loss However unpaid profit or Principal or Expired Limit for a period of 180 days or more or frequent past dues will remain the most significant rules for classification. If an advance or any portion of an advance thereon remains overdue for 180 days or more but less than 270 days then the advance is classified as substandard. For an advance of a continuing nature, even if the investment is not overdue as much as 180 days, but the limit stands overdrawn by move than 50% for a period of 45 continuous days preceding the reference date for the classification, then it is classified as substandard. If an investment has been renewed or rescheduled at least three times but is not overdue, and any of the required payments for the required period have not made when they fall due, then the investment is classified as substandard. The advance or any portion of the advance thereon remains overdue for 270 days or more but less than 360 days. An investment classified as substandard per clause 6 (b) above has remained substandard for 180 days or more. An investment classified as substandard per clause 5 (c) above has remained substandard for 180 days or more. Legal action has been initiated. (e) Qualitative criteria based on judgment. The advance or any portion of an advance or profit thereon remains overdue for 360 days or more. An investment classified as doubtful per clause 6 (b) above has remained doubtful for 180 days or more. An investment classified as doubtful per clause 6 (c) above has remained doubtful for 180 days or more. If legal action has been initiated and no court decision has been obtained within 360 days of initiation of action then the investment is classified as bad. To minimize investment losses, monitoring procedures are system should be in place that provide an early indication of the deteriorating financial health of a customer. At a minimum the following are looked into. Past due principal or profit payments, past due trade bills, account excesses, and branch of investment covenants. Investment terms and condition are monitored, financial statements are received on a regular basis, and any covenant breaches or expectation are referred to IRM and the RM team for timely follow-up. Timely corrective action is taken to address finding for any internal, external or regulator audit. All customer relationship facilities are reviewed and approved through the submission of an investment management at least annually. The recovery Unit (RU) of investment Administration and monitoring unit should directly manage accounts with sustained deterioration (a risk rating sub standard (6) or worse). The RU’s functions are as follows. Pursue all option to maximize recovery, including placing customers into receivership or liquidation as appropriate. The management of problem investment must be a dynamic process, and the associated strategy together with the adequacy of provision must be regularly reviewed. A process should be established to share the lessons learned from the experience investment losses in order to update the investment guidelines. In pricing a business investment, Bank management must consider the cost of raising investment funds and the operating costs of running the Bank. This means that Banks must know what their costs are in order to consistently make profitable, correctly priced investment of any type. There is no substitute for a well-designed management information system when it comes to pricing investment. The cost to the Bank of raising adequate funds to lend. The Bank’s non funds operating costs (including wages and salaries of investment personnel and the cost of materials and physical facilities used in granting and administering a investment). Necessary compensation paid to the Bank for the degree of default risk inherent in a investment request. Credit risk is the primary financial risk in the banking system. Identifying and assessing credit risk is essentially a first step in managing it effectively. In 1993, Bangladesh Bank, as suggested by the Financial Sector Reform Project (FSRP), first introduced and directed to use Credit Risk Grading system in the Banking Sector under the caption “Lending Risk Analysis (LRA)”. The Banking sector since then has changed a lot as credit culture has been shifting towards a more professional & standardized Credit Risk Management (CRM) approaches. Keeping the above objective in mind, the Lending Risk Analysis Manual of Bangladesh Bank has been amended, developed and re-produced in the name of “Credit Risk Grading Manual (CRGM)”. There are many risks in financial organization. Most of the risks are related to financial. Investment (Lending) is the principal function of a Bank. At the same time there is an underlying/inherent risk in any investment (Credit). Investment comprises a very large portion of a Bank’s total activities. As such, due diligence and prudential judgment/decision is a precondition for a sound investment practice and therefore, is very important for profitability and success of a Bank. Expert opinion to choosing core business area, finding out new business sector, arranging low cost fund to invest at lower rate, steps to avoid under and unfair competition with the commercial banks etc. are effective measure to reduce the market risk. Liquidity risk is more important area to think by the banking company to match with the financial and investment (lending). Long term and stable financing is required for long-term investment. Beside, inflow of cash through collection of dues against investment in time as also essential. Effective monitoring and follow-up is the important tools to ensure the required collection. The management of specific investment risk is developed according to individual business units. The investment risk management function ensure that appropriate policies are established and ensures compliance with the related sanction monitoring procedures and control at the business unit level. Investment exposures are aggregated from individual business unit and are on a regular basis. Investment involved risk may be summarized as under. Failure in business of the customer. Encompassing a blend of banking and non-banking service. Investment either too liquid or of questionable quality. Competition from other commercial banks. Portfolio monitoring is carried out by asset quality, background of the customer, soundness and viability of his business and cash flow etc. sector of the economy and country, cost of long-term financing to match with the return on long-term investment. SJIBL has established control mechanisms to identify, measure and monitoring the exposure to investment, market and liquidity risk, in this context, to have a brief idea on the quality of assets of the bank a calculation is given here under. This grading system is applicable for only corporate clients i.e. for any business investment. No personal investment, scheme investment, micro investment, consumer investment will come under the purview of this grading system. Calculation should be made on the basis of annual or half yearly accounts. Preference will be given to the audited balance sheet. In case of non-availability of the audited balance sheet, un-audited balance sheet may, however, be used. In case, the client does not prepare any financial statements, then the information required for preparing investment score, May be collected from the clients books of accounts or from the discussion with the client. Because every client irrespective of maintenance of accounts, knows well about his total tangible assets, total debt, total sale, total operating profit, current assets, current liability and some others. Therefore, the grading can be easily prepared for those clients who even do not prepare financial statement. The gearing ratio is based on the borrower’s total debt to tangible net worth. Liquidity ratio is based on the borrower’s current assets to current liability. The profitability ratio is based on the borrower’s operating profit to sales. Operating profit is that profit which is derived after deducting operating expenses from the gross profit. While considering business outlook, factors related to industry, market share, and economic scenario will have to be taken into consideration. The quality of Management is based on the aggregate number of years that the senior management team i.e. top five executives. Case Study of Mr.Gour Harei Saha about his Lending Procedure Step by Step. Address of the House (Own) Client : B-6,Flat-904, Manoshi Lakeview complex, Shine pukur Holding Ltd. Mirpur-01, Dhaka-1216. Mr.Gour Hari Saha is the son of Hara Lal Saha and late Shymoli Saha of House# B-6, Flat-904, Manoshi Lakeview complex, Shine pukur holding Ltd. Mirpur-01, Dhaka-1216. He been serving at Nitol Insurance Company Ltd, since june, 2008 & working as Additional Managing Director. His major responsibility is with top management for policy making, Visiting Branches offices, working for company’s business development, corresponding with branches, monitoring the branches & branch performance and other related work. He worked about 07 years in Standard Charted Bank (SCB) & 13 years in National Bank Ltd. (NBL) in various responsible capacities. After the successful completion of 20 years with SCB & NBL he joined renowned insurance Company named Federal Insurance Company Ltd. as Assistant Vice President & General Manager, then worked about 01 year at Rupali Insurance Company Ltd. as Assistant General Manager, Dhaka Insurance Company Ltd. as Senior Deputy General Manager & Branch In charge for 01 year, in republic Insurance Company Ltd. as Deputy Managing Director for 03 years. He is graduate from Chittagong University, Chittagong. Mr. Gour Hari saha is well known to us with his honesty and integrity. His gross income is Tk. 1, 74,000/- per month. His salary is sufficient enough to pay the installment. Location : “Prime Rose” Plot # 05, Road # 03, Banani, Model Town, Dhaka. b. Developers Name : Prime Apartment Limited. Mr.Gour Hari Saha Annul income is as follows: (As per information given by the client) the main source of income of Mr.Gour Hari Saha is his service & house rent. So, the total monthly income is Tk. 174000/- So his monthly income is Tk. 174000/-, beside expected rental income from the proposed apartment will be Tk. 20,000/- per month or Tk. 240000/- per year. Sequence of Approval: New client. A Hire Purchase Shirkatul Milk : To purchase an apartment of 1500 sft. and a car parting space along with undivided and undemarcated proportionate land located at “prime Rose” (3rd floor), located at Apt# 4A, Ploat# 5, Road# 3, Banani R/A, Dhaka. Gour Hari Saha Prime Bank Ltd.
04.05.09 1385 sft. flat at ploat#14, Shah Mokhdum Avenue, Sector#11, Uttara Model Town, Dhaka. Value of Security=Tk.31.00 lac. Lien of DPS Tk.13.00 lac. c. Purpose : To purchase an apartment of 1500 sft. and a car parking space along with undivided and undemarcated proportion land located at “Prime Rose” (3rd Floor), located at Apt# 4A, Plot# 5, Road#3, Banani R/A, Dhaka. d. Rate of Rent : 1. 15.50%p.a repayment on a monthly basis or the rate to be determined by the Bank from time to time. 2. Compensation @1%p.a. for the overdue amount of 1st & 2nd installment(s) and 2%p.a for the overdue amount of 1st,2nd,3rd and onward installment(s) shall be charged and recovered from the date of overdue till tentative date of payment. g. Mode of Disbursement : Disbursement to be made in favor of the seller of the flat. h. Mode of Repayment : By 120 (one hundred Twenty) equal monthly rental (with profit) starting from 1st month of disbursement but full adjustment shall be made within the validity. l. Security : Details on security column. Forced Sale Value of Property-1= Tk. 71.00 Lac (as per purchase price). 1) The proposal/memo made as per guideline as per guideline of investment (Credit) Risk Management policy of the Bank. 2) All circular, guidelines and policy of Head Office, Bangladesh Bank and other regulator have been complied in related to the said proposal. 3) Due diligence have been done while processing the memo. 4) All information, date given in the memo are correct. 5) The proposal forwarded after compliance of Banking Company Act & Islamic Shariah. 7) The building so far constructed as per approved plan of RAJUK/ CHUK / competent authority and the remaining portion shall also be constructed as per approved plan. Case study of Mr. Md. Obaidur Rahman about Some Rules and Regulation of SJIBL. Mr. Md. Obaidur Rahman is the son of Mr. Imtez Ahmmed and Nurun Nahar of House# 180, Hjazaribag, Gegatola, Dhaka-1209. His factory is situated on Rupganz, Naraenanz, House#77, Flat#04, Road-11/a/A. his factory is one kind of international structure. c. Margin : 10% in cash. d. Purpose : To import different type of goods i.e. Show-price, Household goods, Watch, Lamp, different gifts items etc. form China & other country. e. Commission : a) 0.50% for the 1st quarters and 0.25% for each subsequent quarter. b) In case of PAD, the profit rate is 16.00%p.a. repayable & recoverable on a monthly basis or the rate to be determined by the bank time to time. c) Compensation @ 1%p.a. for 1st month of overdue, @ 1.50% p.a. for 2nd month of overdue and 2%p.a. on the overdue of 3rd month and owned, in addition to the prescribed profit rate shall be charged on the overdue amount on a monthly basis and recovered from the date of overdue till tentative date of payment. f. Mode of Repayment : Through availing of TR facility within approved limit or through cash from client own sources. h. Security : As stated in the Collateral & control column below. Margin at the rate of 10% on L/C value. A post dated master cheque, covering the L/C Value. Post dated cheque against each L/C. a) katha of land located at Dist: Dhaka, PS: Mohammadpur, Mouza, Ramchandrapur, khation: CS-702, SA-441/8, Dag: CS & SA-219. Owners of the land are 1) Mr. Md. Obaidur Rahman & 3) Mr. Mahbubur Rahman & Ms. Shamsunnahar Rahman. b) Personal Guarantee of proprietor of the firm. c) Personal Guarantee of the owner(s) of the property. d) Personal Guarantee of the property of the firm, his spouse and adult son(s) and daughter(s), of the property. k. Purchase Schedule l. Memorandum of Deposit of Title Deeds. The Disbursement will be made under the principal of Shariah. The disbursement will be made only after full satisfaction of the bank and completion of documentation and all other formalities as per terms of sanction. Drawings exceeding the approved limit not be allowed under any circumstances. All legal/documentation formalities shall be completed under direct supervision of Bank’s panel lawyer and a satisfaction certificate to be executed by him. Balance confirmation certificate must be submitted to us regularly confirming the balance as on 30th December of each year. All legal fees, insurance premium and other costs (if any) shall be borne by the client. Client will not divert Bank’s Investment under circumstances. An undertaking to be provided by client stating that Client’s do not have any overdue/classified liability with any other banks/ financial institution in clients name or in the name or in the name of client’s sister/allied concerns. If any deal/ installment become overdue compensation will be charged at the rate decided by the Bank. Separate Bai-Muajjal agreement must be signed by client for each disbursement under Bai-muajjal facility. Investment (Credit) Management is an integral part of business and the main role of risk management is to find the optimal balance of risk & return, In accordance with Bangladesh Bank’s instruction to put in place a core Investment (Credit) Management system in banks, SJIBL has substantially established the guidelines for Investment (Credit) Management. Investment (Credit) risk arises from the possible of customer & counter parties failing to meet their obligations to the bank and represents the most significant category of risk. CRM capability of 39 SJIBL is certainly outstanding since the classified loans & advances accounted for only 1.32% of total LDOs in 2007 vis-à-vis previous year’s 1.32%, which indicates SJIBL strong supervision & monitoring of the post-disbursement scenario to ensure recovery of the loans on time for facilitating lending to others. Division in quadrant (I) SJIBL have a low relative market share position, yet they compete in a high growth industry. Generally these firm’s cash needed are high and there cash generating is low. These businesses are called question Marks because SJIBL must decide whether to strengthen them pursuing an intensive strategy (market penetration, market development or product development) or to publish them. Quadrant (II) businesses represent the SJIBL best long-run opportunities for growth and profitability. Division with high relative market share and a high industry growth rate should receive substantial investment to maintain or strengthen their dominant position. Divisions positioned in quadrant (III) SJIBL have a high relative market share position but compete in a low-growth industry. Called cash cows because they generate cash in excess of their needs, they are often milked. Quadrant (IV) division of any organization who have a low relative market share position and compete in a slow-or no-market-growth industry, they are dogs in the firm’s portfolio. SJIBL has high market growth rate and relative market share is also strong so the bank doesn’t come in this sector. In this short period of my internship I found that, SJIBL take long time to process an investment. That is very harmful for a client. In some case the client need vary quick money to his/her purpose but the bank delays a disbursement of an investment. So some time it’s losing the goodwill of the bank. Today’s world is very much depend on the media, so if the institutions are not think about the advertisement or any kind of activities which is related some kind of advertisement then it will not earn so much popularity. A media can rise or fall an institution within very short time. So if we see to other developed country then we can find that every business institution has a huge budget for the advertisement purpose. SJIBL do not take this expense as an expense; they always take it as a huge investment, because if the people do not know about my organization then how they will do business with us (it dose not matter which type of organization is this), it may be big manufacturing company or a bank. Here I realized for The SJIBL that they do not have any kind of vast advertisement or any kind of social activities, so most of the people do not have any idea about SJIBL. Some time clients are hide there information about investment because of some client’s benefit. In that case SJIBL handle vary raffle to that situation. An investment procedure the clients have to provide the full information about related to the investment. The managers and other high officials have no power for decision-making. The branch managers have no power to sanction loans. In every bank there is a certain amount that a branch manager can sanction, but in this bank if anyone wants to take a single Taka for loan then the manager has to for the head office approval. Some times it may be the cause of losing customer, because it will take time to sanction a loan. In my short period of internship I fund that SJIBL has no credit card facility. And also there have no ATM booth around the country. But in this competitive market other banks provide lots of Debit Card, Credit Card and ATM booth facilities to the customers. SJIBL is one of the promising banking sectors in Bangladesh. The customers are allows willing to get a loan very quick. It will better if SJIBL setup a quick lone system department. So if the client need emergency loan then he or she get it very superiorly. I think SJIBL should develop there investment monitoring department. Because the default rate of investment is very high in the bank. The bank should create some parser to those client whose are vary irregular about investment installment. Some time clients need some loans which are not situated in the bank. If the bank arrange some finance in special purpose than the client’s are benefited for this system. Most of the banks practice that sort of thing. SJIBL must follow this structure. Firstly the bank has to increase their advertisement and also increase their social activities. They have to go with the people’s needs and demands. They have to explore their name to the people that every one can know about Shahjalal Islami Bank Ltd. In this time there is so much competition between each other that a single step can change the all direction. Today’s people are very much willing to do banking, which one is near to them. So if the number of branches will not increases than it can lose the customer. In this global world online system much more needed in every organization. The bank may implement the modern online banking for meet-up the current modern banking system. SJIBL have to increase there product and service such as credit card, ATM booth, sachem, etc. If a bank performs there business very limited product in this competitive market they can’t do business for long run. If the authority gives some power to the managers like: for the purpose of loan sanction then it will be good for the bank. Because when a penitential customer will want to take a loan in emergency basics then the manger can sanction to a certain limit. It can earn of that customer’s satisfaction and in future, he or she may be do vast business with the bank. The performance of a Banks today competitive business is important. Just few years Ago the number of bank was very small. So the competition was not a strong as it is today. Things have changed with the emergence of many new banks now the Customers have option to take the one that the best so the current banking business scenario is simply highly competitive. The performance of Shahjalal Islami Bank Limited during the Last five years has proved that with strong desire and will power one achieve whatever target he may have. Almost all the leading banks in our country have various Extra facilities in offer for the customers in comparison with other Banks but SJIBL has succeed in achieving more customer than other competitors. This has been possible only because of strong customer relation and excellent customer service. After taking effective and time defeating measures regarding efficient employees and instruments will help the local office of Shahjalal Islami Bank Limited to reach the pinnacle of success with high profit and productivity. A new bank they should be stronger in financial side because there is too much competition and new banks are growing up. If Shahjalal Bank adopts professionalism within the framework of Shariah, they will be able to earn handsome “Halal” profit and pay higher return to the depositors and share holders. Ultimately, public will get more confidence on this type of banking.